Spring was just starting to slink into Moonlight Falls, but there was still frost on the ground. Some lady showed up with an umbrella on a cloudless day to hang out in our yard. Apparently her idea of fun was cleaning up our old newspapers. Don’t ask me. I didn’t hire her. I, on the other hand, was up at the crack of dawn. The city wanted to throw some kind of ceremony to recognize my awesome heroism, but the only time I figured I could get away was when people were asleep. 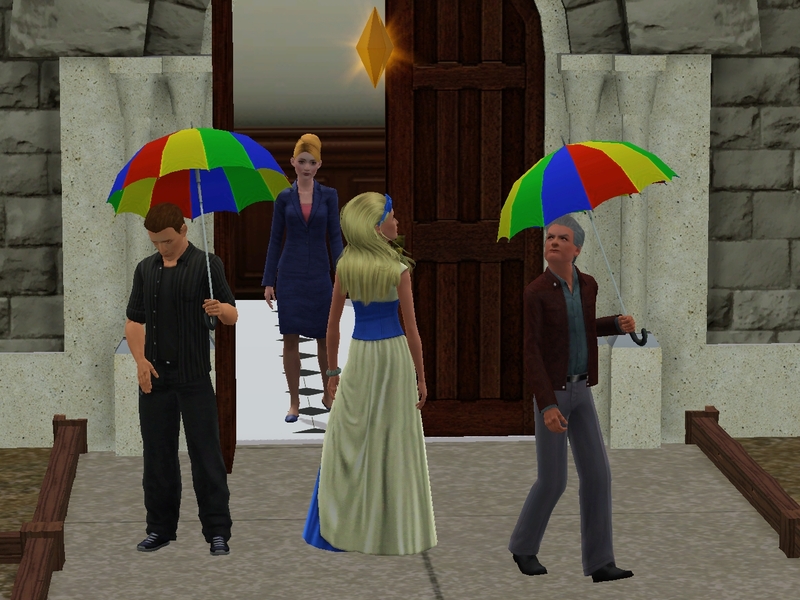 Oh, I guess that lady with the umbrella knew what she was doing because now it was pour rain. I guess that’s Spring for you. I should have put on a raincoat. 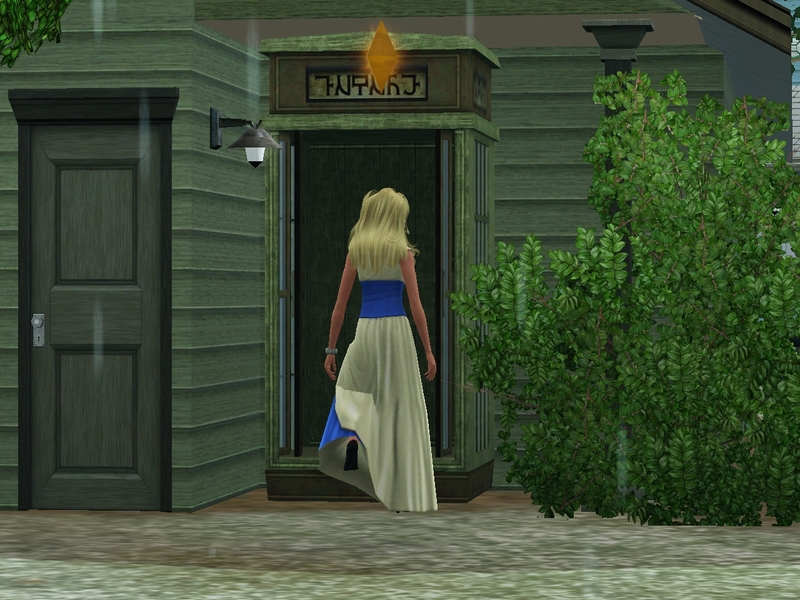 I dashed into a nearby phone booth to get out of the rain. 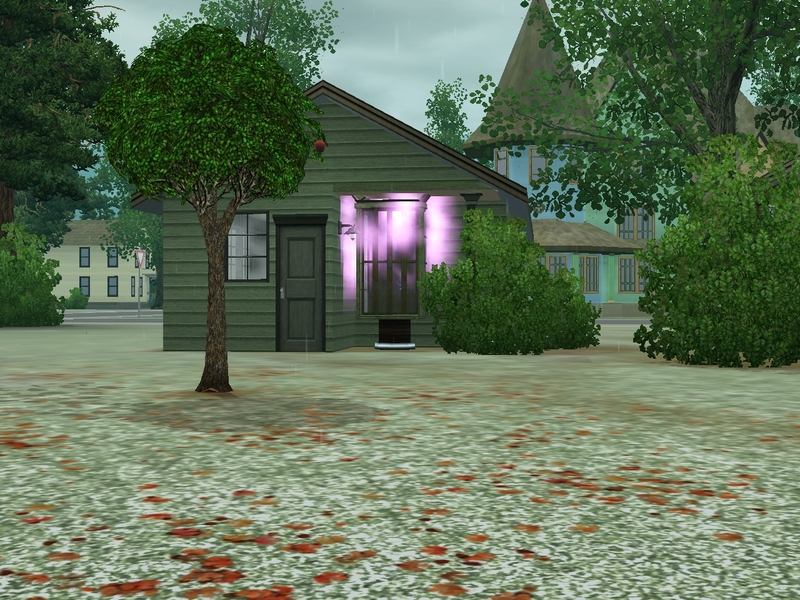 And something very strange happened…. And I got out right across the street from city hall! 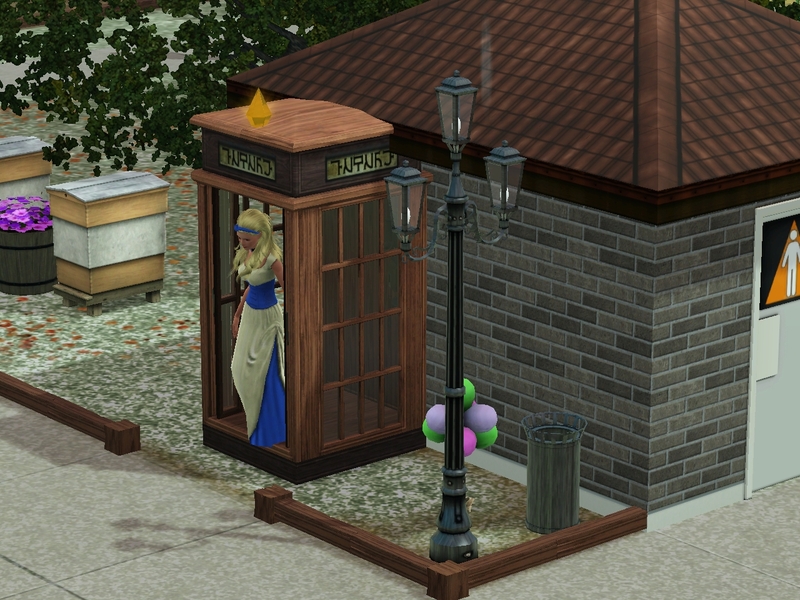 Phone booths — the only way to travel! A bunch of people came to see me get a new award. At least, I’m sure they must have been here to see me. This hot fellow is William’s older brother Anton Pierce. Mmmmm. 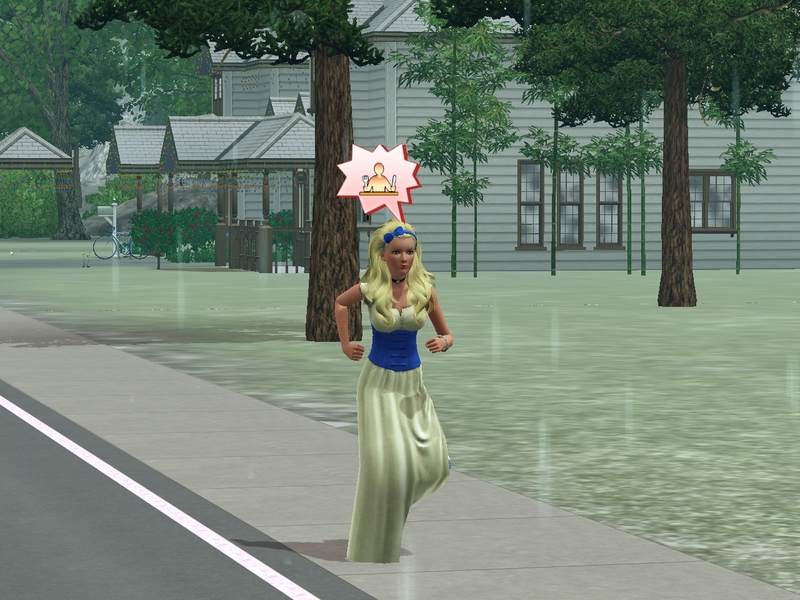 Hot does seem to run in the family. A young politician named Miyuki Mai presented me with my award. I guess they couldn’t book the actual mayor. 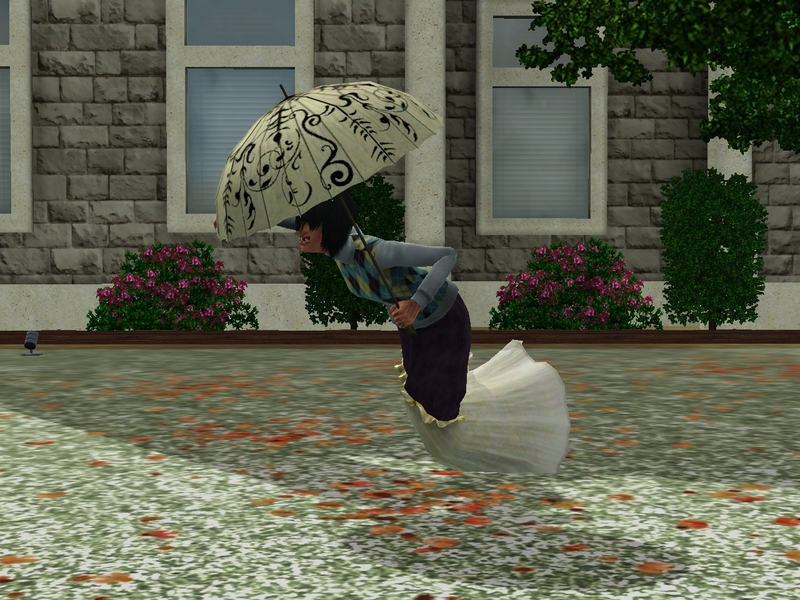 I guess umbrellas are another way to travel. I’ll have to try that out. And after all that, all I got was a trophy! I appreciate the thought and all, but folks? If you want to show me how much you appreciate my work for our fair city, do it with a really fat check. We’re sitting on cat-scratched folding chairs in an empty living room, but now I have a statuette. 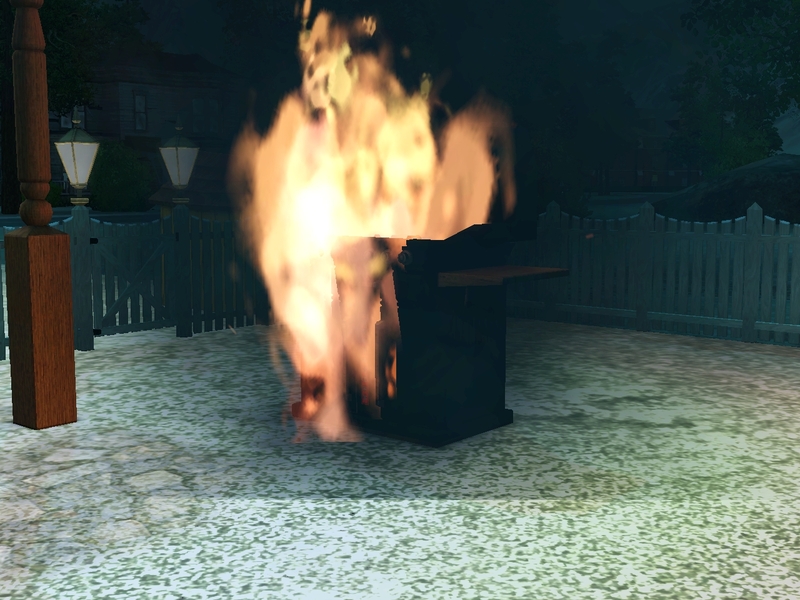 While I was gone, Jin tried to cook again. But at least her love life was looking promising again. On the way home, I decided to spend the money I didn’t get as an award to pick up some birthday cakes. We got so busy we missed the last ones, and I wasn’t going to let that happen again. Christof was first because Caitlin was sleeping. Suddenly, Jin realized that she’d forgotten something. 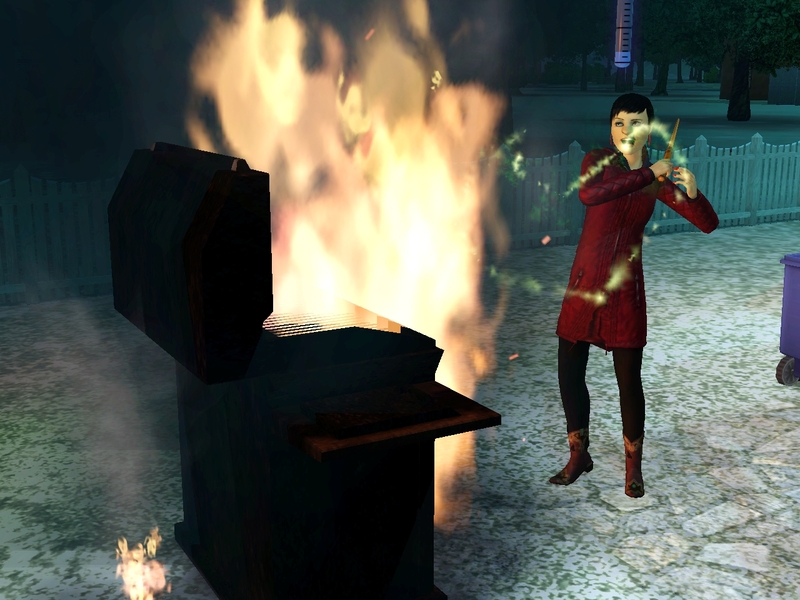 It was the hot dogs she’d been cooking when the birthday party started. Whoops. 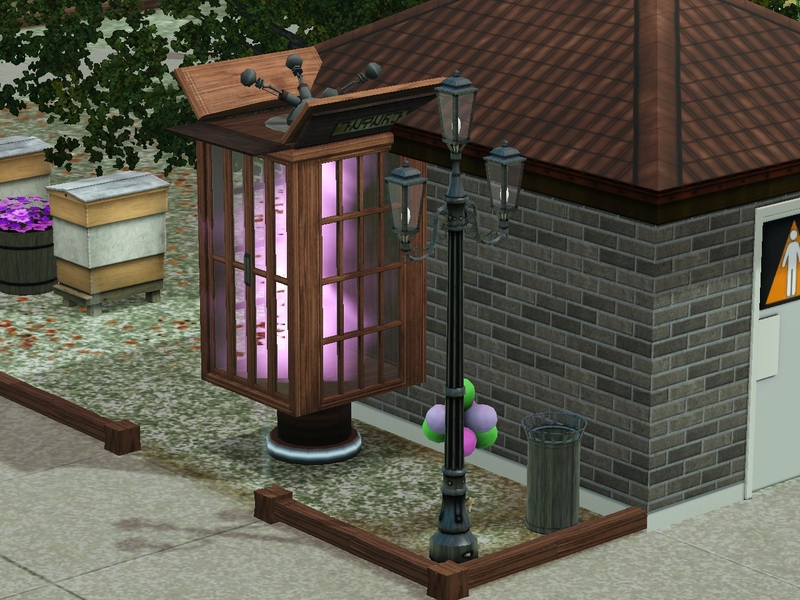 This could have been a serious problem in another house, but Allison Wonderland lives here. I knew just what to do. 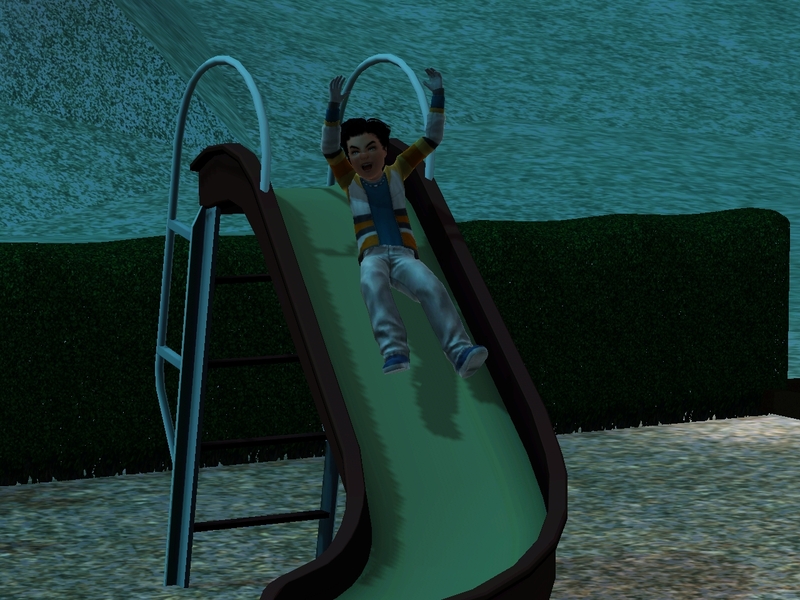 First, I set Christof down where he’d be safe. 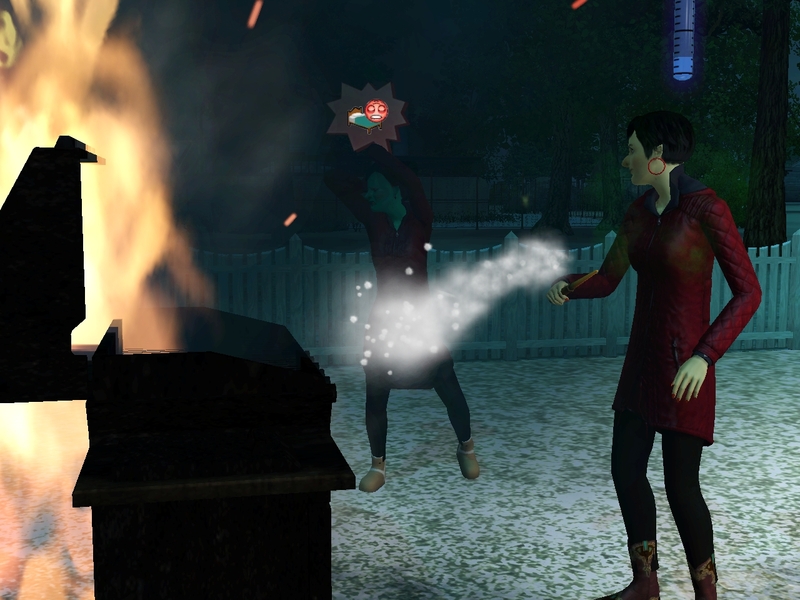 And while I was doing that Hetal put out the fire. By the time I got outside, the only thing left to do was clean up the soot. I’m ok with this. I swear. I am a mature woman who does not feel threatened when her wife steals her thunder without even asking. 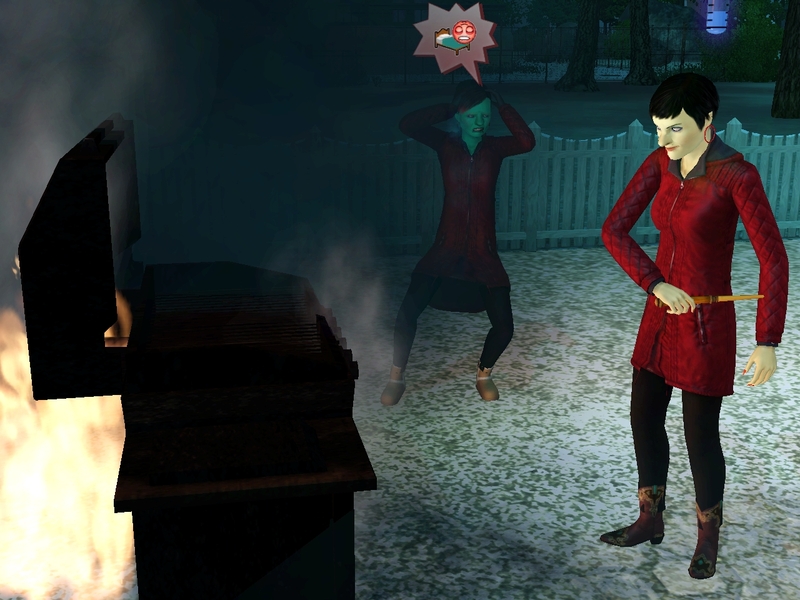 Hetal seemed pretty ticked off at her mom for starting that fire. I hope they’re going to be OK. While we were out, Christof grew up. And went to get the first slice of cake. And where was Branden, anyway? 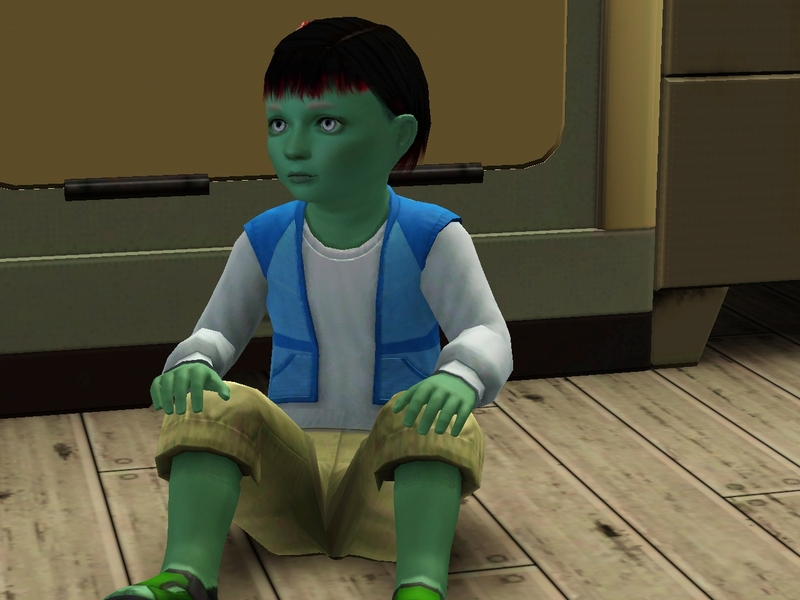 He never seems to come home from school anymore. Doesn’t he like us? Next it was Caitlin’s turn. She was fresh up from her nap, so the timing was perfect. Caitlin’s such a sweet little girl. I’m sorry she’s going to be getting too big for me to hold her in my arms. 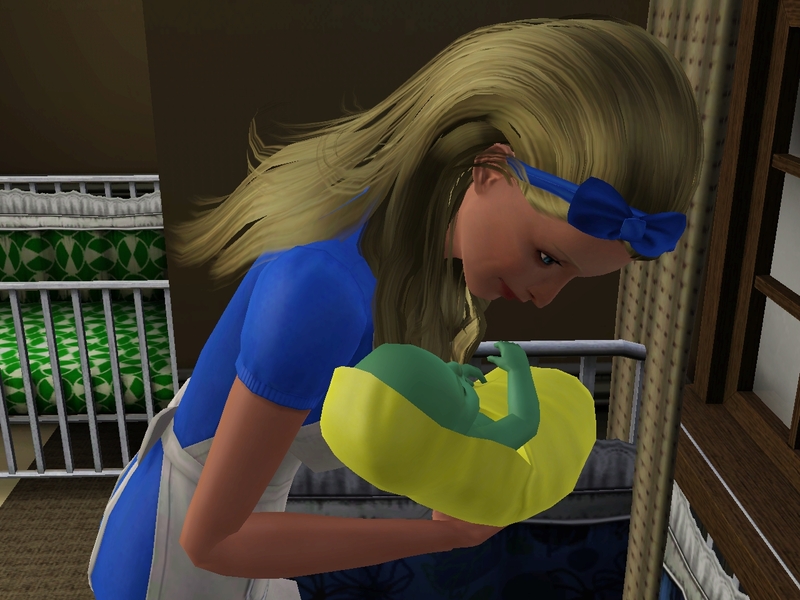 I’m glad that she’s going to be too big to scream her head off all the time, though. 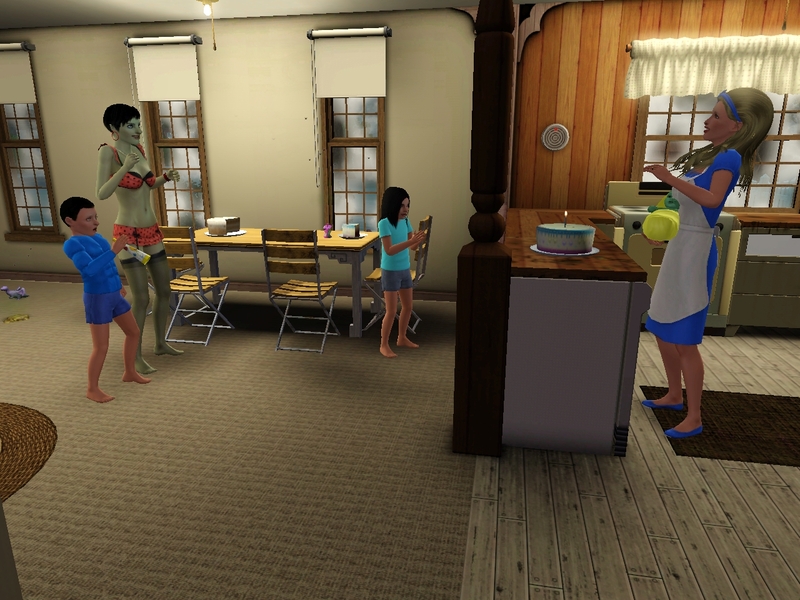 She didn’t think we needed a cake just for her, though, and decided to age up when she got downstairs. All right, then. We had one more chance to get this whole birthday cake celebration right. This time I was going to make it happen no matter what! 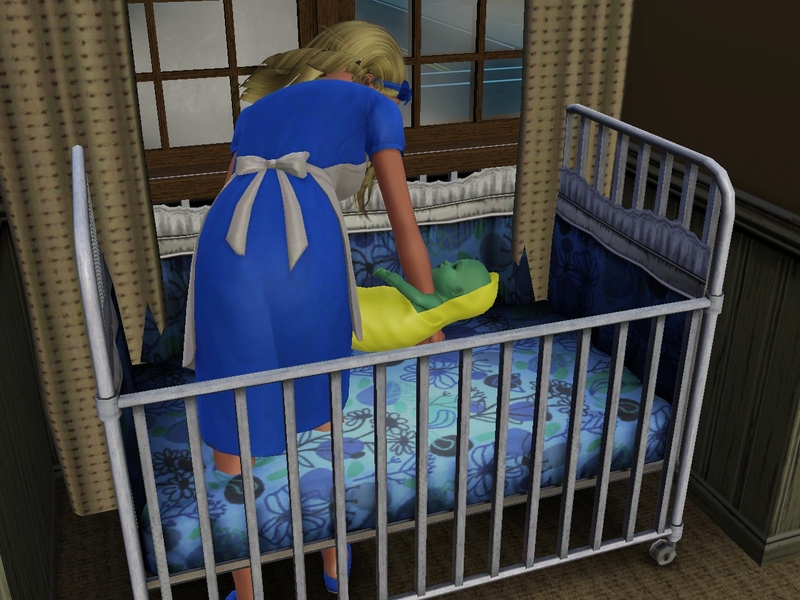 I did have a bit of trouble getting Deanne out of her crib. But she was all right. The whole family — except Branden — gathered around to welcome our last (and I mean LAST) baby into toddlerhood. 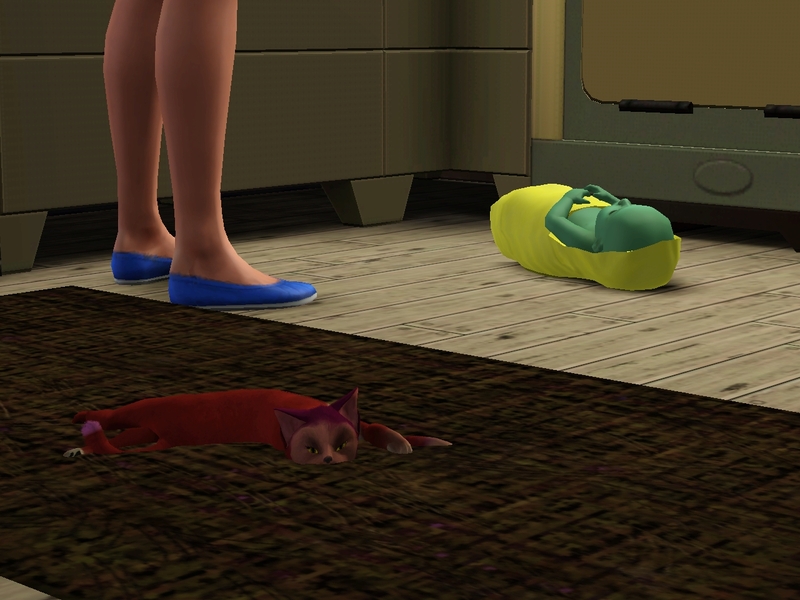 Raspberry was just sinking into the rug with excitement. 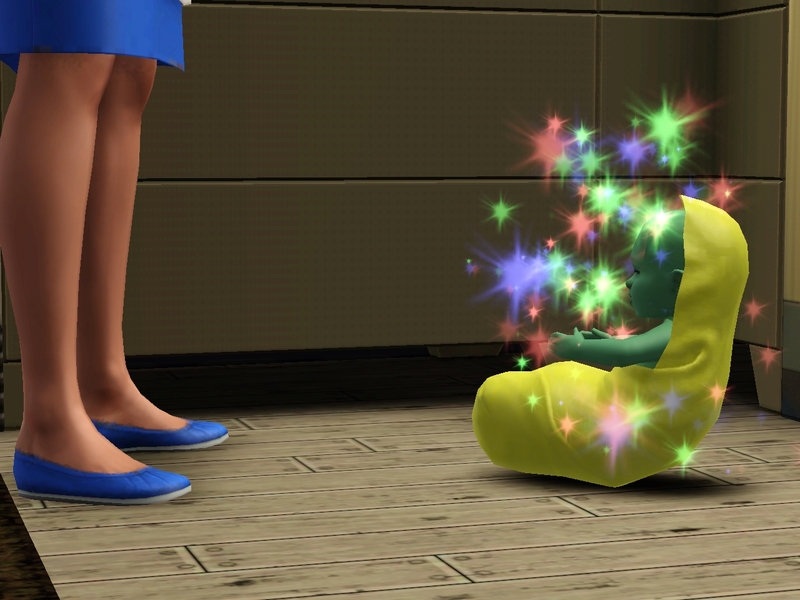 My sweet little green girl! Jin was ready to get to work. 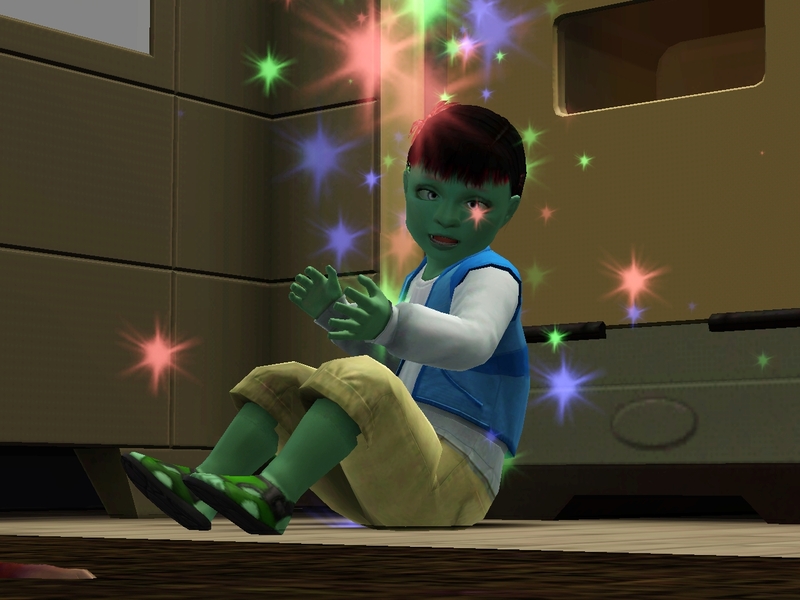 I dashed over to give Deanne her first toddler tickle! 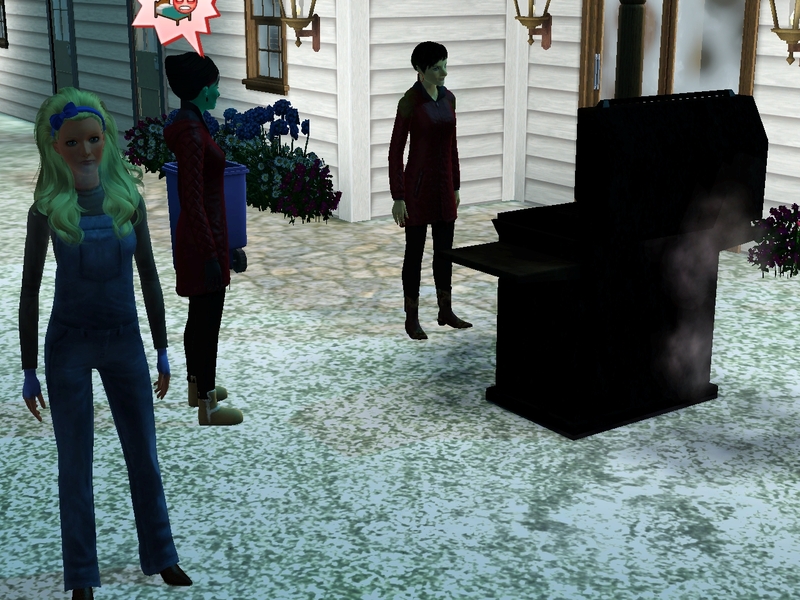 But Hetal discovered that her ice spell was more exhausting than she’d expected. This wouldn’t have happened if she’d just let me do my job, now would it? But of course I’m not bitter or anything. While we were all finishing up the party, Branden showed up. “Where have you been?” I exclaimed. “I was just out,” he said, and he immediately headed up to bed. I just don’t know about that boy. 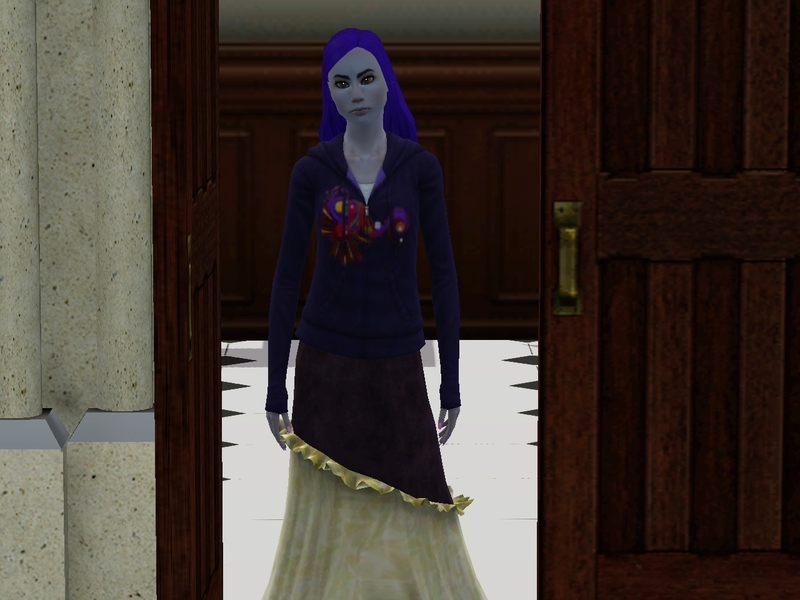 Right after that, Caitlin turned red and dashed to the shower. We had to rearrange things a bit for bedtime. We figured the best place for Deanne was in the garage with Jin. I mean, Hetal and I are the breadwinners, or Hetal will be too if she ever goes back to work. 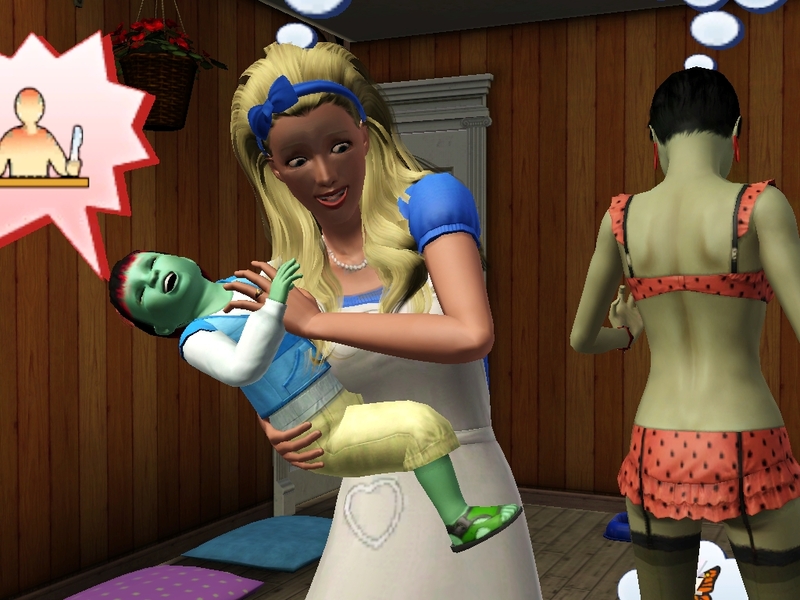 We really can’t deal with a kid waking us up at night. But it worked out all right the first night. I mean, really really all right. How’s that for getting it right? Now that I’m over the whole control freak thing, I am having a BLAST with this ISBI. People are always failing, but something funny is ALWAYS happening. I’m enjoying collecting all of the obscure fails. Deanne is ADORABLE. She got of her her hair, skin, and eyes from Jin. However, I’m pretty sure she’s adorable because she’s a face clone of Allison. ARRRRRGH! She is Clumsy and Angler. 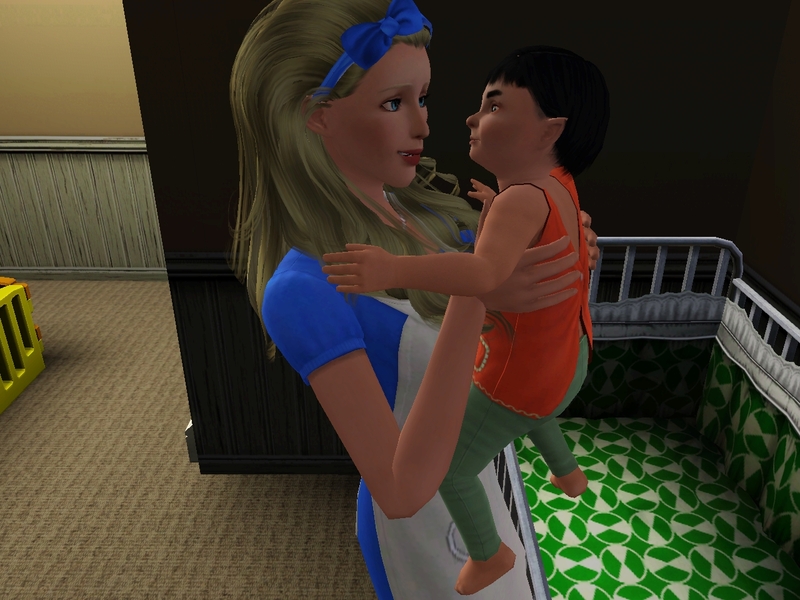 Since I used MC to replace the baby, I didn’t get to pick traits. Christof is an Athletic, Friendly Vegetarian I think. 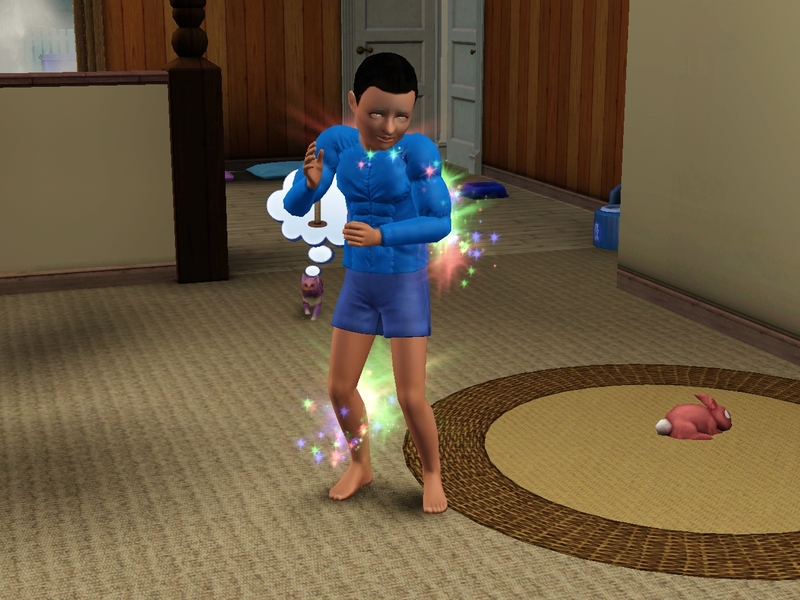 I tried to skill him up so I could choose his child trait, but I had a sort-of glitch at the end and didn’t finish his potty training. (It was really bad UI — it turns out that you can’t select potty training as an action if the kid is in the crib, and I thought that having no action meant his potty training was done.) I used a Change of Personality elixer on him, thinking I’d get to pick the changed trait, but no. That was Vegetarian. Christof is running the very real risk of making it to YA without being Insane. Caitlin is a Good, Insane Cat Person. How appropriate! 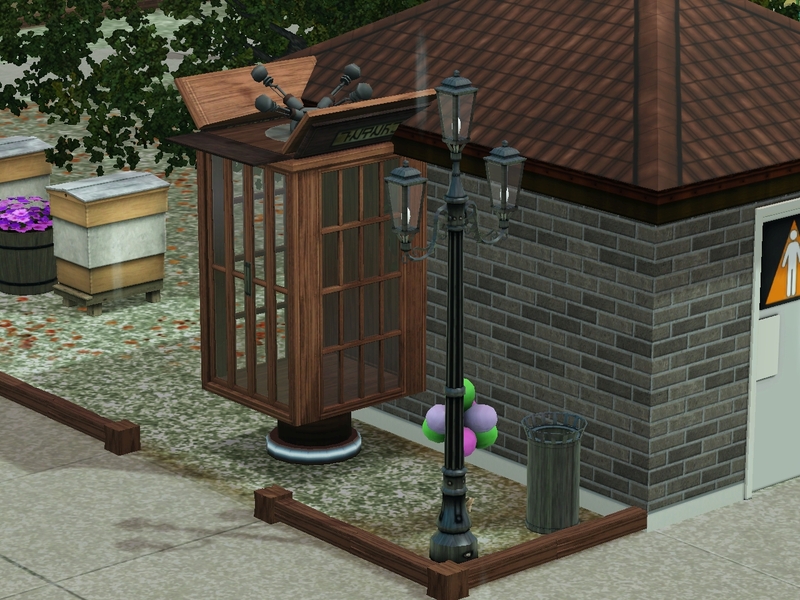 I think those “phone booths” are LAAMAs? Or whatever the acronym is? I recall that Twallan said something about making them routing objects at some point. That’s the way Allison decided to go to City Hall to collect her award. You can’t see it very well, but it’s on their bed stand in the last shot. However, I’m going to take credit for another minor cheat. I think it actually happened in the last chapter, but the social worker came for the cats because one of them was lonely, and I reloaded the game. I was NOT going to lose those cats, and besides that I’m not really planning on including them in anything point-related despite putting them on the scorecard. The cats were always in the red or orange for social need. I wasn’t sure what to do. As an experiment, I used Twallan’s Retuner to remove React Negatively and React Neutrally from the pet autonomous action list. As far as I can tell, this action is for yowling at food that is left out, and since this is an ISBI, there’s ALWAYS food left out in various stages of decay. That action doesn’t fill any needs, but it seems to be something a pet will do instead of anything useful. Once I got rid of those actions, the cats started actually seeing to their own needs, and I haven’t had a problem since. And I am caught up again! All of the kids aged up so cute! I'm glad that Allison finally had a chance to go through the whole cake thing. I am so impressed that everyone is sleeping at the same time! In their beds! That should definitely get you a bonus. I enjoyed seeing the muscle shirt… why do they like that so much?! 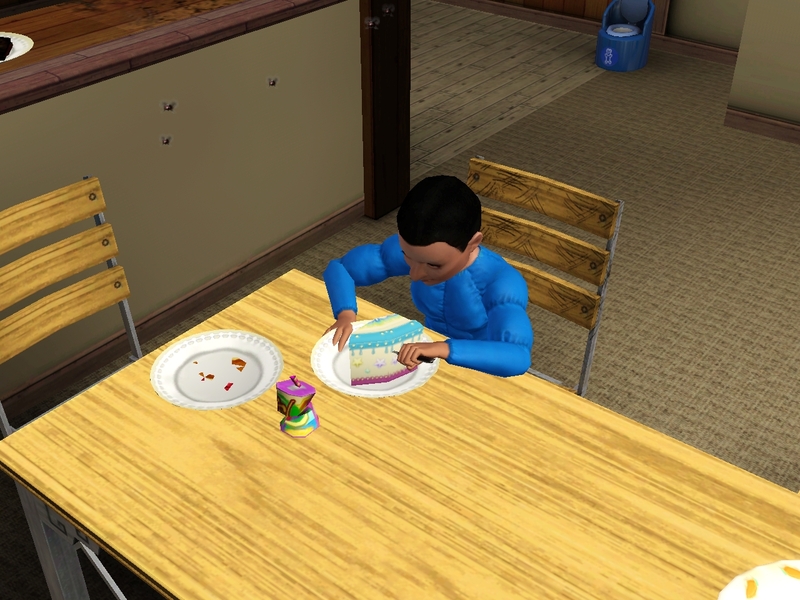 Wow … looks like Branden is going through his moody teenage years a bit earlier than most kids. Maybe he's jealous of his younger brother and sisters? Also, congratulations once again on accomplishing the impossible. 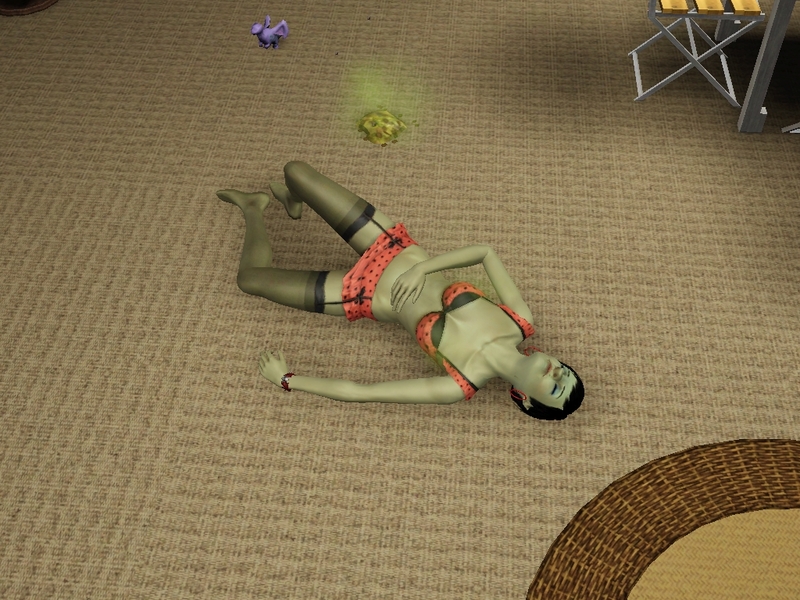 I have difficulty getting all my sims to bed on time and I don't even control them!!! 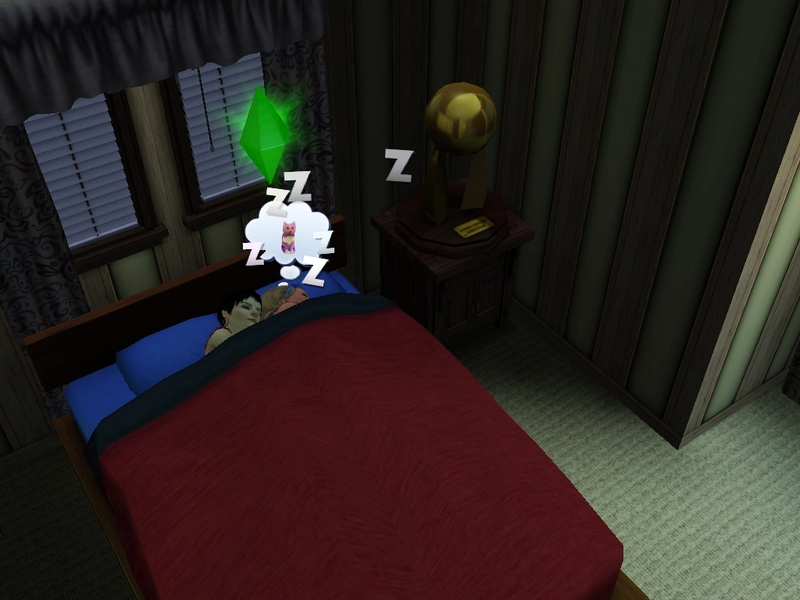 Well, I'm not sure if it's remarkable that the sims went to bed in the CORRECT bed. 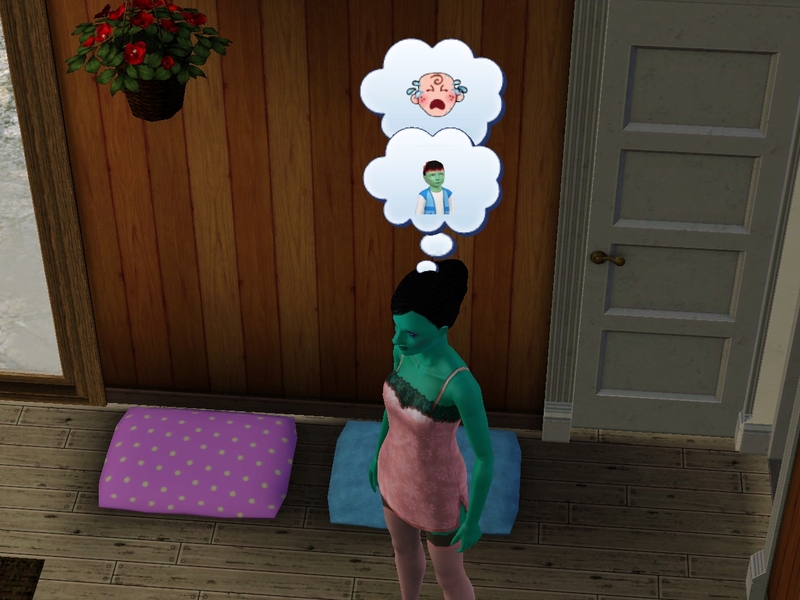 The University patch provided a bed-assignment feature that doesn't require you to direct the sim to do anything. I've been using that. Jin has never tried to sleep in Allison and Hetal's bed, and Hetal has never tried to sleep in Jin's bed. 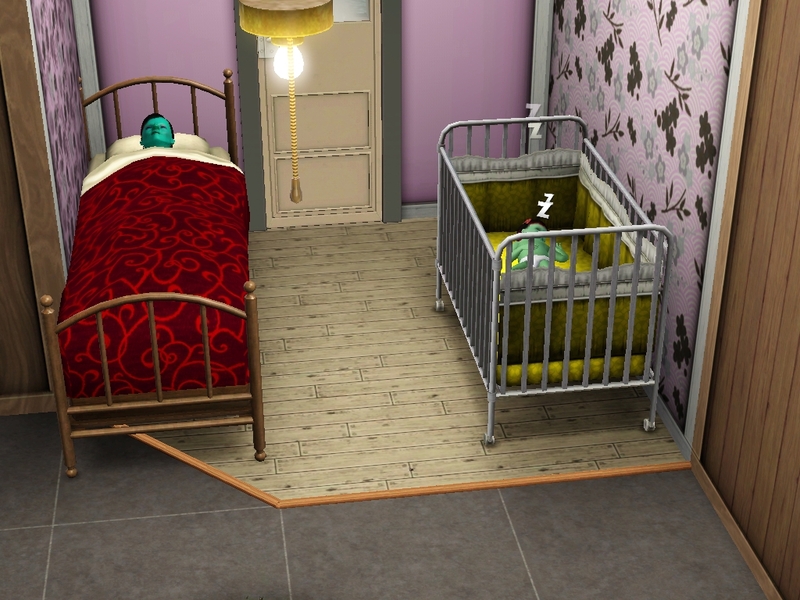 However, I'm not going to reassign beds if it gets screwed up unless I move the beds or move houses, so we'll see how things go with six (and soon seven) sims in the house who use beds. But they DID all go to bed, which is really amazing. I took that shot at about 2am. Caitlin was the last to bed because she peed herself and then walked in on Branden in the shower when she tried to get clean, and they had the little shooing dance. I didn't report that because I didn't get a pic :-p. So it's probably a stretch to say that they got to bed ON TIME, but all three kids should have at least 4 hours of sleep before school — provided they make it to school. I haven't played the morning, so we'll see! 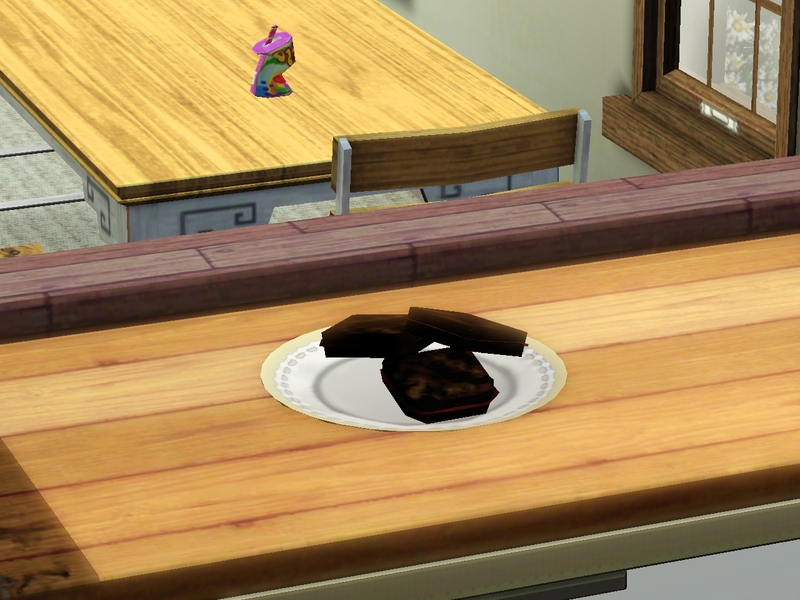 I think this is the 7th Wonderland family birthday (if you don't count me caking Hetal to make her a YA), and Deanne is the first time the birthday cake went off properly. Woot! I am very intrigued by both Caitlin and Christof. 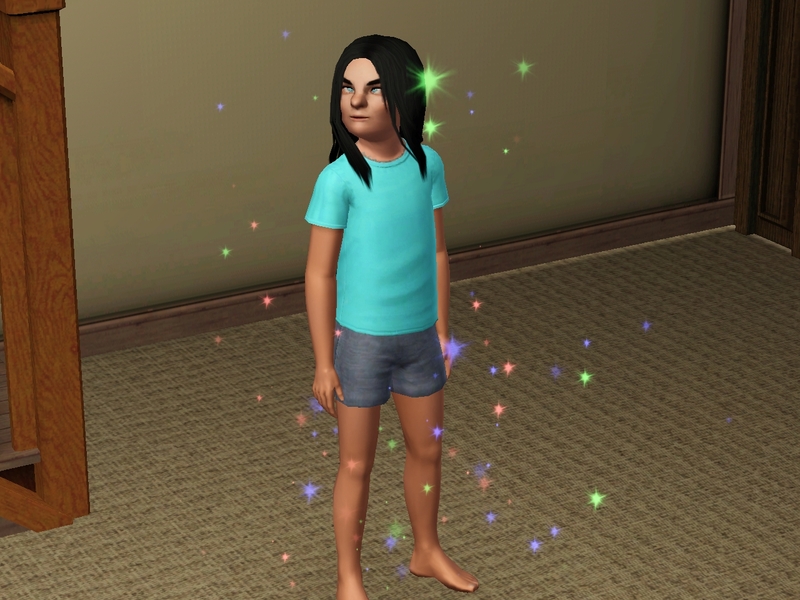 I think that kid faces often look a little strange and not a good forecast of what the adults will be, so I eagerly await the teen birthday for both of them. Well, Branden too. It's possible he could grow into that face in an interesting way. I think upon further thought, I am not going to let the idiots dress themselves. I want to inject the Allison Wonderland theme where I can, and clothing seems like a place I can do it. Both Christof and Caitlin did not age up wacky enough and will be getting makeovers. Also, Christof really needs a hairstyle to show off his red tips. Haha! Branden has not once come home from school until curfew. The police don't pick him up, but he hangs around on the school grounds until the game curfew warning. Sulky kid who doesn't want to be seen with his seriously uncool family, I guess. I'd expect that from Christof, since he's still sane. 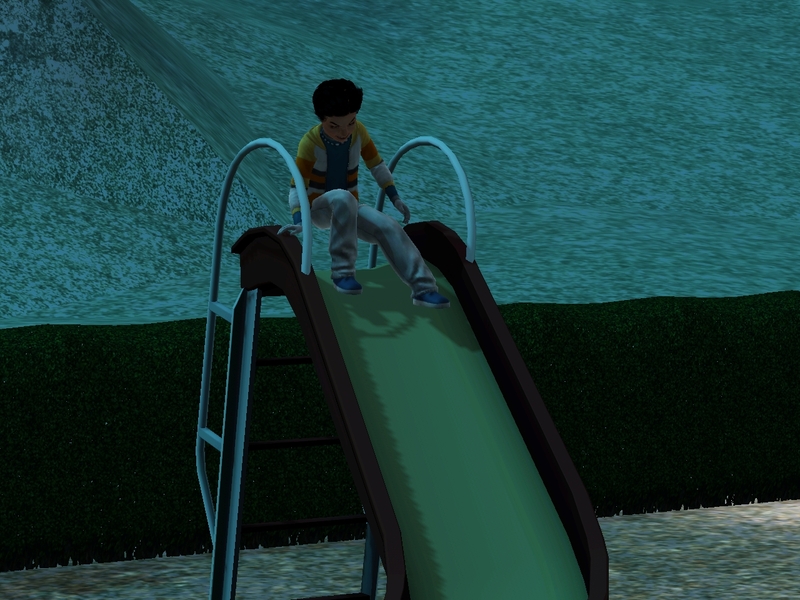 I guess we'll see what the other two kids do now! 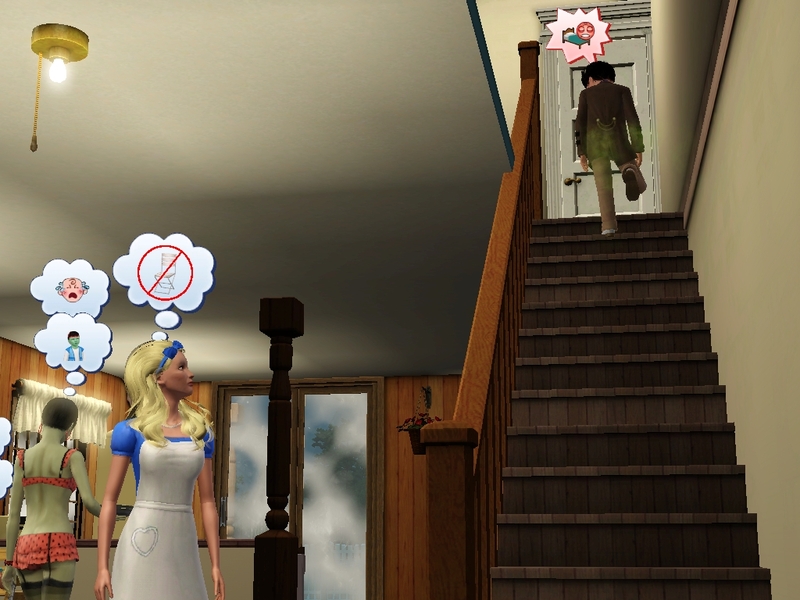 Dude, that is Alice in Wonderland. I've gotten too used to typing the gag! And I'm all caught up here! Wow, I've never seen a wish like that one, see the fiery ghost of Jin! Really specific want-you-to-die-like-this-please wish. But I love that Hetal did a spell on the fire, and then Allison was all, no-no-I'm-not-upset while she brought it up every other sentence. Hah! The birthday madness was so silly, and then everyone got to sleep except for one naughty kitty. 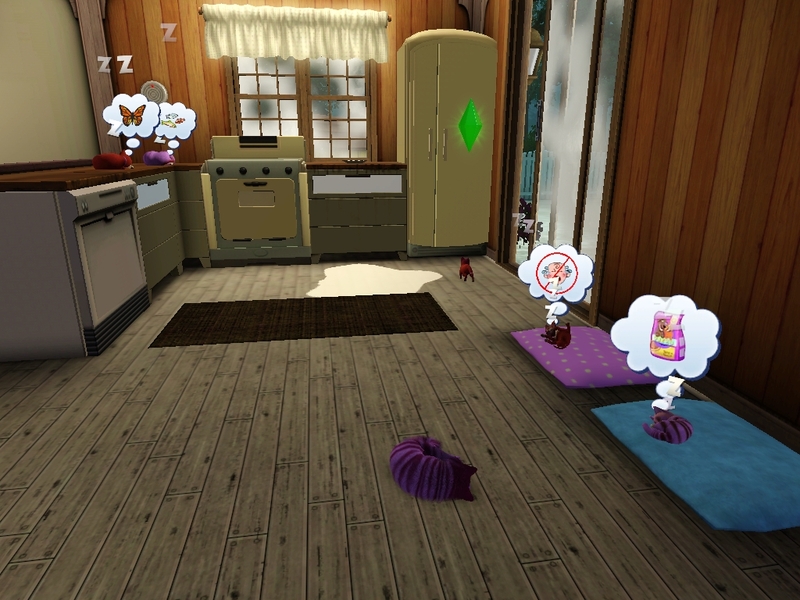 Glad you found a mod to fix the cats, it's crazy how the food being left out was messing them up. I'm really seriously thinking of buying Generations, IF I can find a mod that will let me cancel the 'grounding' and/or scolding thing out. I've read so many blogs that have that action where they get scolded for being a minute late for school, but then it snowballs into an endless crazy cycle of scolding which keeps making them late. But I want the marrying and giving flowers and bedtime stories and pranks and all the good stuff So Bad! Hey, I asked a few chapies back, but I really wanted to know where you got those 'log' chairs that just disappeared on you, if you remember. Thanks a bunch. Hetal is Evil. 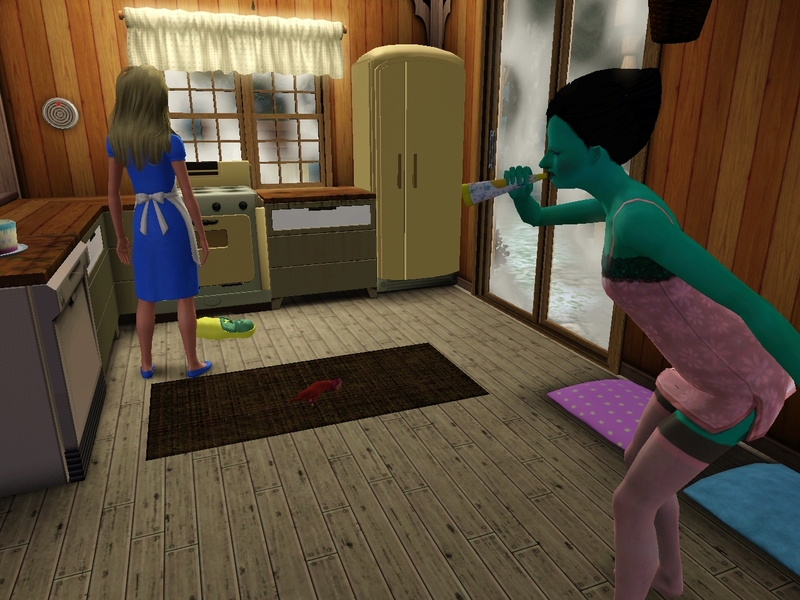 I think only Evil sims have wishes to see other sims dead. The birthday was so Wonderland :). Generations is $18 on Amazon Download right now! You know you want it! I believe Twoftmama has a bunch of flavors of scolding tweaks. It requires free registration at her site Naughty Sims Asylum, but it's good — it's a fine site, well-maintained, and quite safe. The only scolding that's broken is the late to school one. I want to keep scolding for bad grades, scolding for being caught pranking, and scolding for being dragged home by the police after curfew (the last being base-game). Did you see my other comment replies? You're in luck about those chairs. They're from the Once Upon a Time Cottage store set from EA. 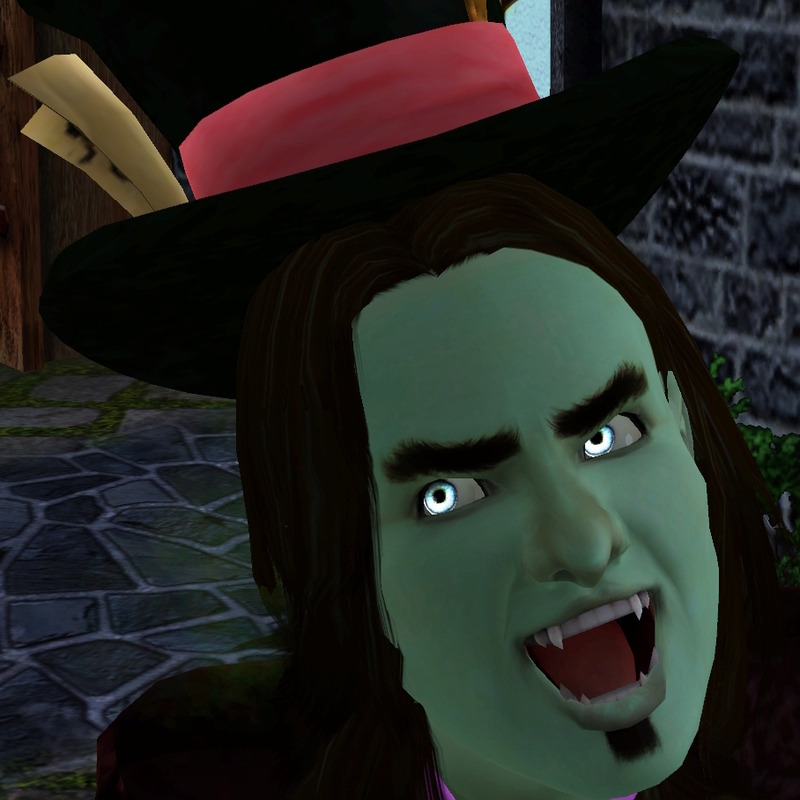 You know, the kids from this generation might be a bit frightening, but I'm starting to think they might make very interesting babies with William. Tone down those features with some hot hot Spike action, and you could get something VERRRY interesting. 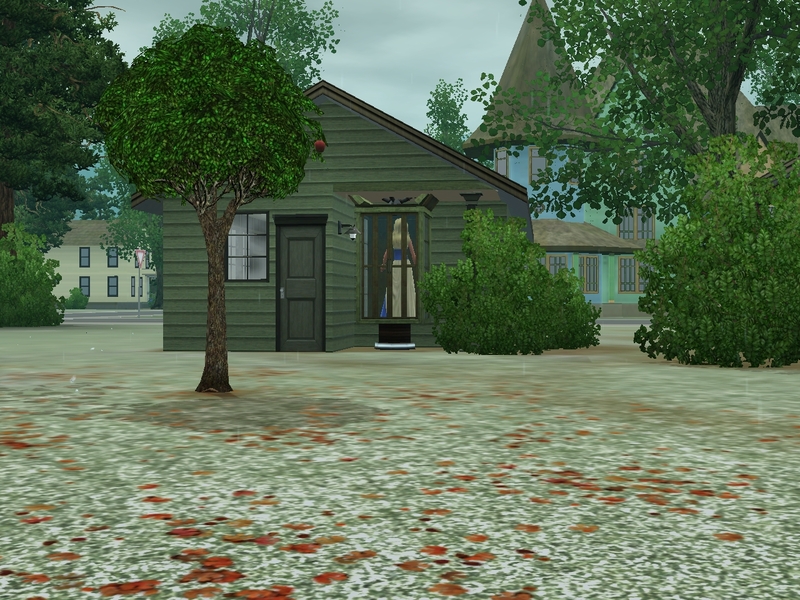 I am very entertained by how many disasters the Wonderlands can trigger in such a short time :). Yeah, I am so boring and predictible when it comes to the traits, that's why I'm forcing myself to roll some of them for this story. Evil has not been a trait I've played much, so that's why I've never seen that wish. I'll try to play it first and see if it is broken, but thanks for the heads up on mods. I'll keep them in mind, no wait, I'll WRITE them down so if I need them I can check them out.